Due to impending bad weather on Friday night, the Daingerfield Tigers game with Newton, in Lufkin, has been moved to tonight at 7:30. The game will be broadcast on K-LAKE 97.7. Pittsburg will play Friday night at 8:30 at the Star in Frisco. The game will be broadcast on STAR 96.9. 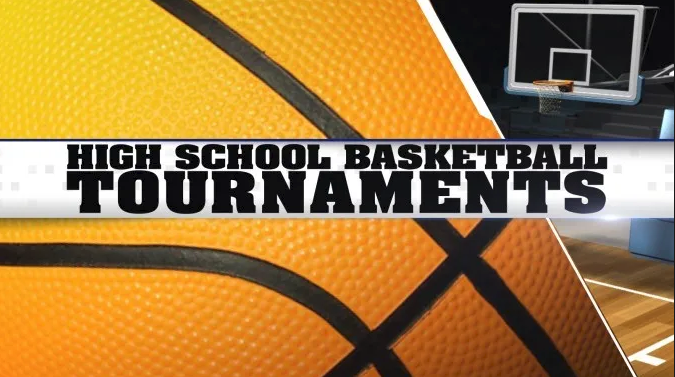 Basketball tournaments getting underway today that involve local teams include the North Hopkins tournament where the Prairiland boys will be playing. The North Lamar boys will be at the Highway five tournament hosted by Melissa, Anna, and Van Alstyne. The Paris boys will be at the New Boston tournament. And the Chisum boys will be in the community tournament. The girls will all be in action Friday night in non-tournament games. Texas A&M University-Commerce kicker Kristov Martinez has been named a first-team All-American by the American Football Coaches’ Association. The senior kicker finished his Lion career as NCAA Division II’s all-time leading kick scorer with 449 points. He is also fourth in scoring among all college players in the state of Texas. PJC men’s basketball lost to Coastal Bend college 80-68. Former Paris Wildcat Jaylon Pipkins led the Dragons with 28 points. And the Mavericks fell 132-106 in New Orleans last night. Dallas will regroup before playing Houston Saturday afternoon. Colorado has hired Georgia defensive coordinator Mel Tucker as its next head coach. The school announced the hiring Wednesday. Mike MacIntyre was let go on Nov. 18 after six seasons with the Buffs. He accumulated a 30-44 record and only had one winning season, but it was a 10-win campaign that included a Pac-12 South title and national Coach of the Year honors for MacIntyre. Joe Philbin wanted four things from the Green Bay Packers over the final month of the season, and the interim head coach didn’t think Winston Moss met those criteria. The critical tweet that Moss posted Tuesday when he questioned the Packers’ leadership, was only part of the reason the associate head coach was fired by Philbin. The Denver Broncos’ sometimes-bumpy ride in the 2018 season got significantly rougher Wednesday. Emmanuel Sanders, the team’s leading wide receiver, suffered what the Broncos believe to be a torn left Achilles tendon during Wednesday’s practice. Dallas Cowboys running back Ezekiel Elliott is appealing his $13,369 fine for unsportsmanlike conduct for dropping $21 into the Salvation Army kettle following a Thanksgiving Day touchdown against the Washington Redskins. Quarterback Dak Prescott was given a warning by the NFL after he was dropped into the kettle by Elliott after a touchdown run later in the win against the Redskins. As a rookie in 2016, Elliott was not fined for jumping into the kettle following a touchdown.